Alburgh, Sunday, August 24th, 12-3 p.m.
For more information or to make an appointment to see this property call Mark Duchaine at 802-399-4574. Directions: Get off I-89 at Exit 17, Take Route 2, As soon as you get to South Alburgh property will be on right. Two driveways. 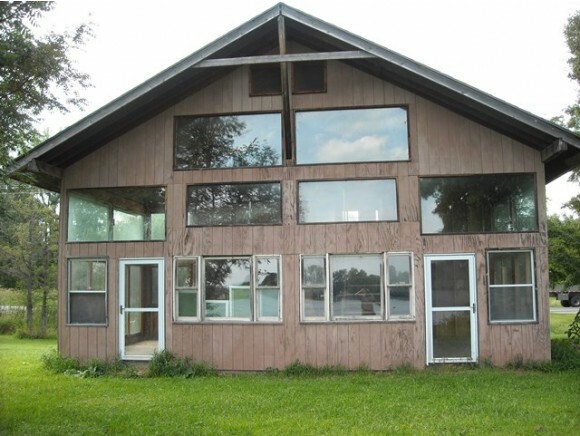 Amazing Lakefront potential in Alburgh. This property includes three lots. The middle lot is the main house which does need some Renovation or tear down and start over. Basement does need some foundation work on main house. To the right facing the property from the road is a lot that includes a barn. Please do not enter the barn as it is unsafe. To the right is a large pink camp with gorgeous views of the lake through several windows. This property includes 242 plus feet of Lake frontage per the survey and a small beach for you to relax on with bonfires or enjoy the views. From the beach you can see the bridge to Alburgh to the right and awesome Lake views to the left and front. The land alone is assessed at over 180 thousand so come see it today and bring your sketch pad! I spent many summers playing cards here or out on the lake in a row boat. Please confirm all building plans with the town officials. I have included the survey and soil tests to help with planning.